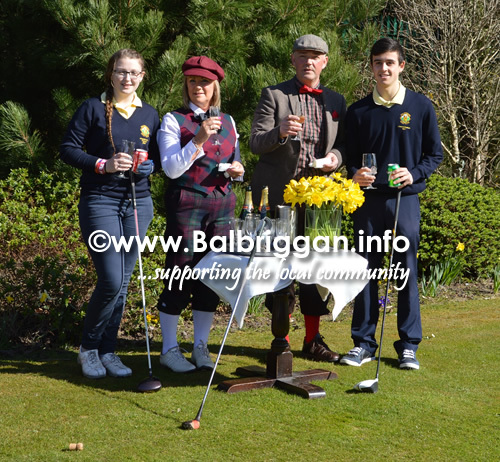 Balbriggan Golf Club held its Drive in on Saturday 21st March 2015. The club was established in 1945 and this year is the 70th anniversary of the club. 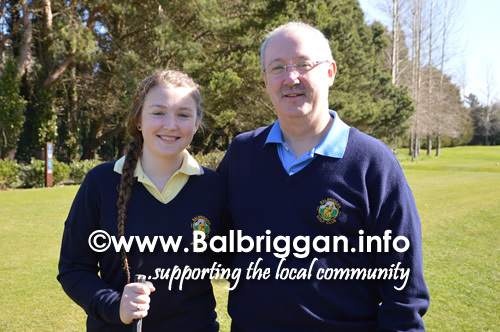 This year the two captains are Captain Patsy Casey, Lady Captain Collette Guildea, Juvenile Boys Captain Ross Staunton and the first ever Juvenile Girls Captain is Amy Shanahan. 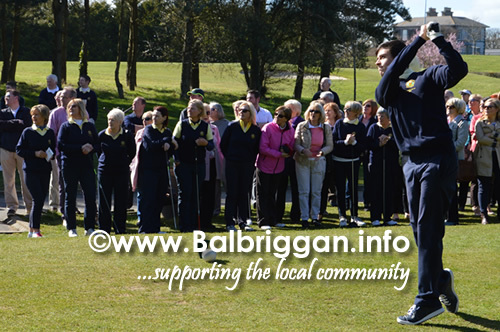 The weather was beautiful and as usual a huge turn out of members and friends were there to welcome the new Captains. 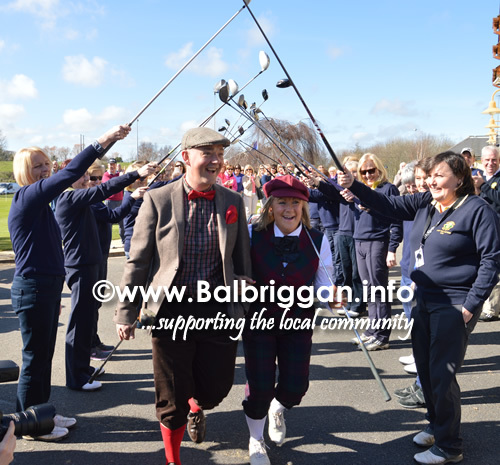 The theme this year was 1945 and the Captains looked fantastic in their costumes .and the Ladies of Balbriggan /Golf Club provided a Guard of Honour as the captains made their wary to the first Tee. 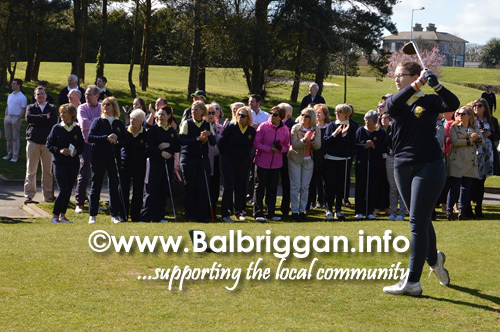 First to drive off was Juvenile girls captain Amy Shanahan and with no fear she drove the ball far up the first fairway to a great round of applause . Next it was the turn of the boys Juvenile Captain Ross Staunton he had a fantastic drive up the fairway and was also given a huge round of applause . Them it was the turn of Lady Captain Collette she was encouraged by her husband Charlie, family members including daughters Pamela and Lindsey & partners ,son Glen and daughter in law Clare and their grandchildren. Also there were Collette’s brother Shamie and sister Jacqui and her very proud mother Mollie Wherity. 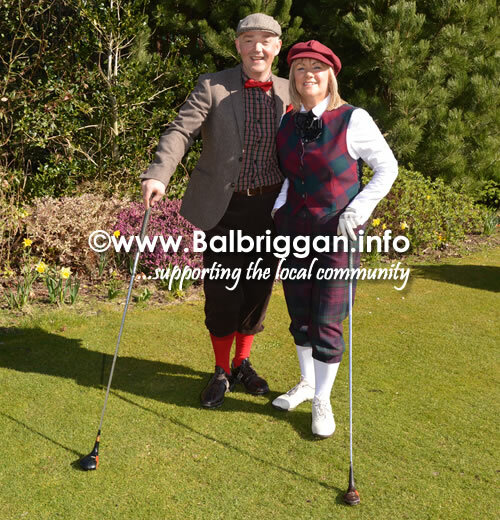 Collette showed no fear or nerves as she drove the ball well up the fairway using a beautiful vintage club and was also cheered on by the crowd. Captain Patsy was supported by his wife Catherine, his children Teeri & Emma and his Mother Doreen Casey sister Mary, brother, Martin and other family members.. The Captain sent the ball well over the hill with no bother at all despite all the jeering he received from the crowd. The two Captains presented the competition prizes on the night. 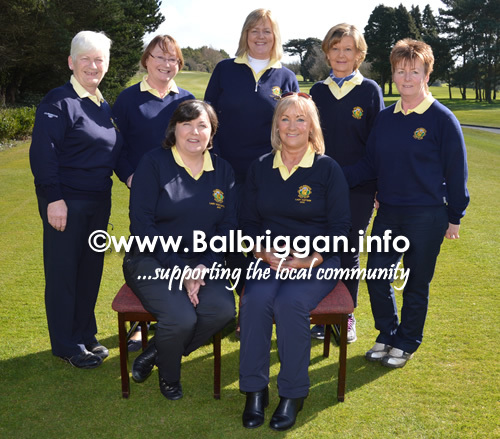 The winners were Ladies Team event won by Elaine Whelan, Cathy Coughlan, Bernie Hunt and Therese Gannon, Mixed team Elaine & Pat Kinsella and Orla & Peter Sullivan. Mens competition winners Rory Slevin, Quintan Hughes, Brian Cannon and Paul Marry. 2nd were Gary Maguire Ray Gannon, Robbie Murphy and John Rogan. 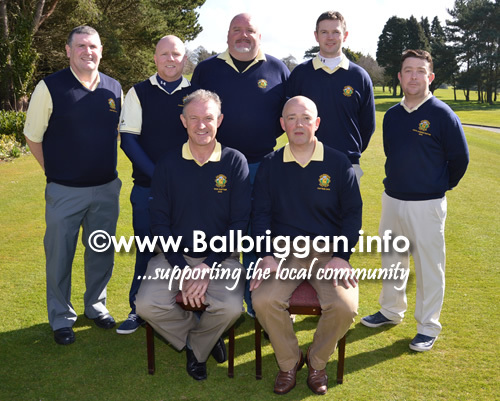 This will be a very busy year for Balbriggan Golf club as the club begins its 70th season. 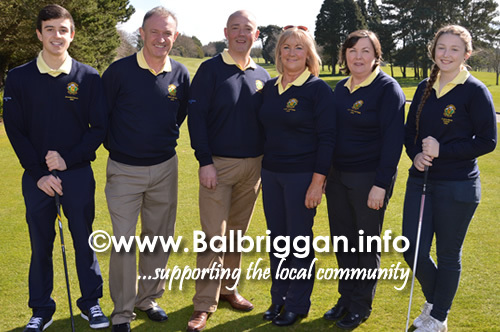 Balbriggan Golf Club welcomes applications for new members and details can be found on the website balbriggangolfclub@eircom.net or by contacting Elaine or Evelyn in the office on 01 8412229. 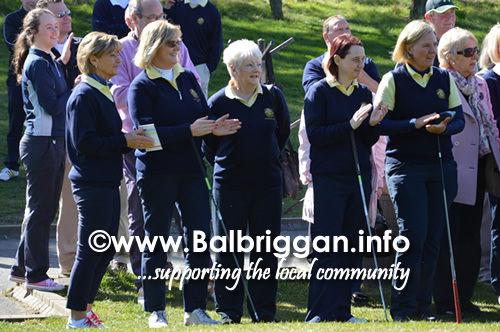 .The Ladies section in conjunction with the ILGU are running a Ladies Get into Golf Programme for any ladies wishing to try out golf to see if they would be interested in joining the golf club and details are available on the Balbriggan Golf Club website and also by contacting the Lady Vice Captain Deirdre Foran at 086 – 8573392 or by contacting Elaine or Evelyn in the office. 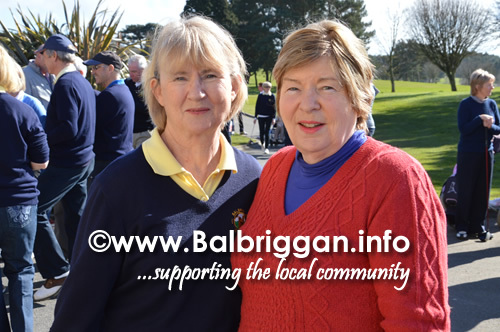 Balbriggan Golf Clubs is also delighted to welcome the new caterers Karl Rogers and his wife Mary . They provided fantastic food on the day and Karl has settled really well at the club.and provides a great selection of food at reasonable prices for the members and for the public. 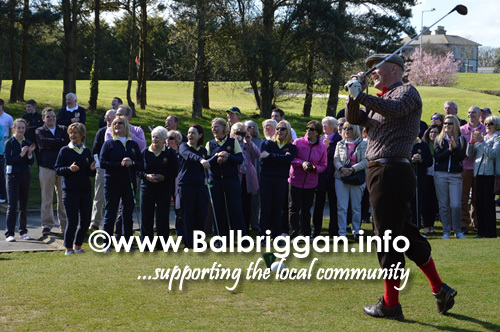 Balbriggan Golf Club Restaurant and bar is open daily.